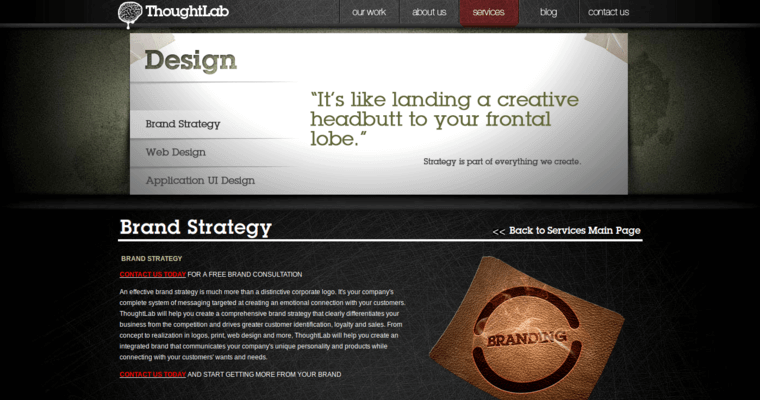 The best word to describe the professionals of Thought Lab is contemporary. Everything the Thought Lab professionals do is designed to ensure that the client's online image is relevant to today's Internet audiences. The representatives of the digital firm make it happen by offering cutting edge web design and development services. 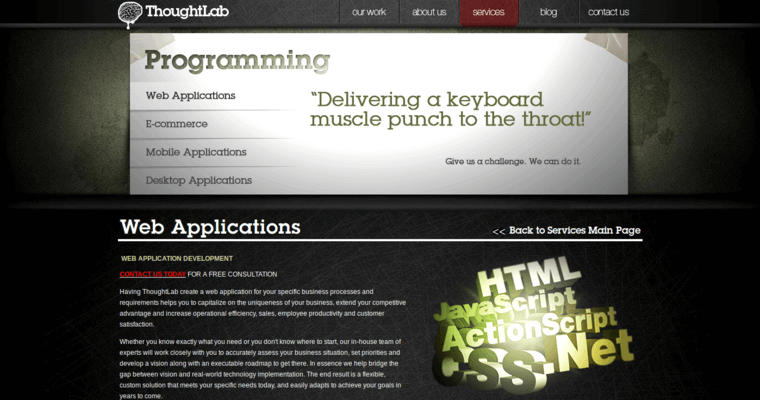 To ensure cross compatibility, the Thought Lab representatives utilize responsive web design techniques. And to make the client's product pages as aesthetically distinct as possible, the Thought Lab crew makes innovative use of graphic elements like templates, colors, backgrounds, and icons. Finally, the Thought Lab specialists empower clients to remain in control of how they are represented online by continually conferring with them and requesting their input. 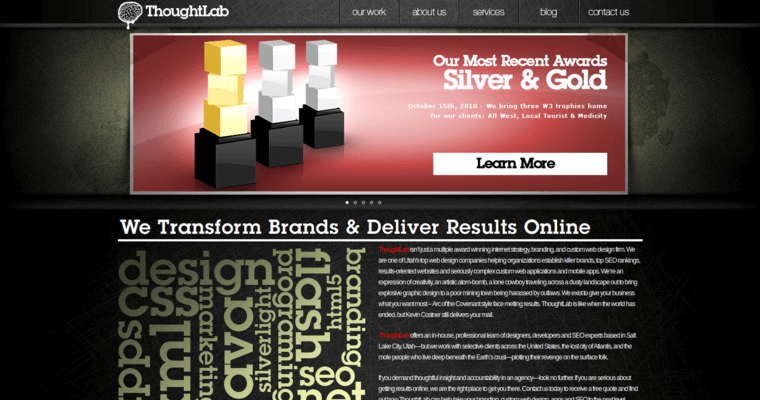 Choose Thought Lab to keep your brand's presence alive and active in the online domain!